iOS has had various features that relate to using iPhones in cars, like reminders that can trigger when entering or exiting your car. This arrived with iOS 9. Since iOS 10 there are also parking spot reminders to help you find your car. 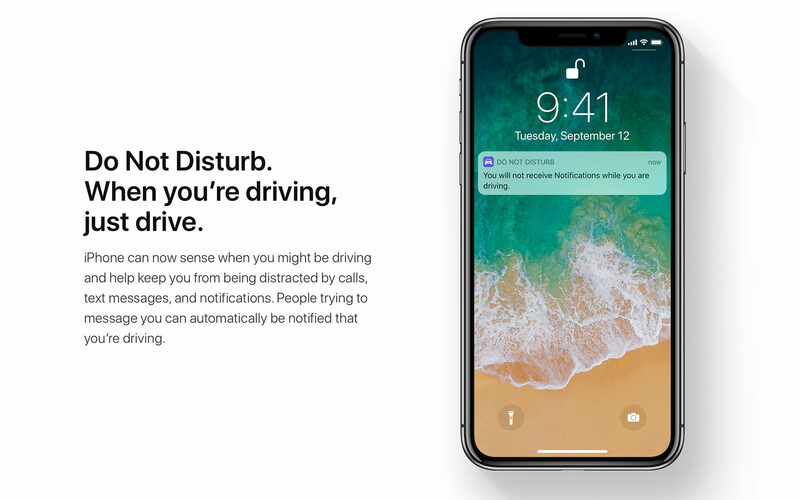 In September, iOS 11 brought you the ability to automatically turn on Do Not Disturb mode on your phone. The problem with these is: they only work with car stereos that announce themselves as such. If you only have a simple Bluetooth kit that connects to the car via the 3,5 mm AUX input and to the phone via bluetooth, iOS most likely won’t highlight these features. I’ve personally tried the iClever Himbox HB01* and more recently Anker’s SoundSync Drive*. Both appear to the phone as simple headsets, not a car. As such all of the mentioned features above won’t be surfaced and aren’t accessible to you. I’ve tried contacting iClever and Anker and neither of them actually understood the issue. I haven’t checked again since iOS 11 was released, although I have little hope they actually care. I understand that Apple tries to cleverly detect if you’re moving around in a car. Android on the other hand for example offers parking reminders even if you don’t connect to any device at all – which may lead to unexpected results, showing you parked at a place even though you arrived at the location with a train or some other means of transportation. I wish manufacturers like Anker would look into this and work with Apple to support the proper profiles so iOS can detect my car as what it is: a car and thus let me use all the fancy features without having to spend money on a whole new stereo setup – which might be an issue depending on your car and its integration of the radio (Mini, I’m looking at you!). Maybe it’s finally time to invest into a third party CarPlay device though. Ben Bajarin has some valid points regarding wireless charging, which is a new thing for the iPhone world. As he Ben notes, the same issue is valid for Android as well. It’s official, I don’t like Qi wireless charging. iPhone 8 Plus has to be placed in exact right position or won’t charge. And FWIW, Android phones with wireless charging have the same problem. I’d still rather plug it in to guarantee it charges….. The problem in a nutshell is that you really have to be careful how to put down and place your device on the wireless charger. I remember having the optional magnetic charging dingus for my Nexus 4 and also back then you had to be careful to hit the exact right spot and actively watch for the charging notification. Sometimes it would slightly slip while attached to the dock and stop charging. You usually wouldn’t notice. The same is true today, for example when going to a Starbucks that has the wireless chargers integrated into their tables while handing out little adapters to plug into your iPhone or other devices. You have to meticulously put your device down and once again wait for the charging buzz or whatever your device does to tell you it’s charging. It’s a horrible user experience at this point. It requires you to carefully align your phone and then it’s not necessarily as fast as using a simple cable. 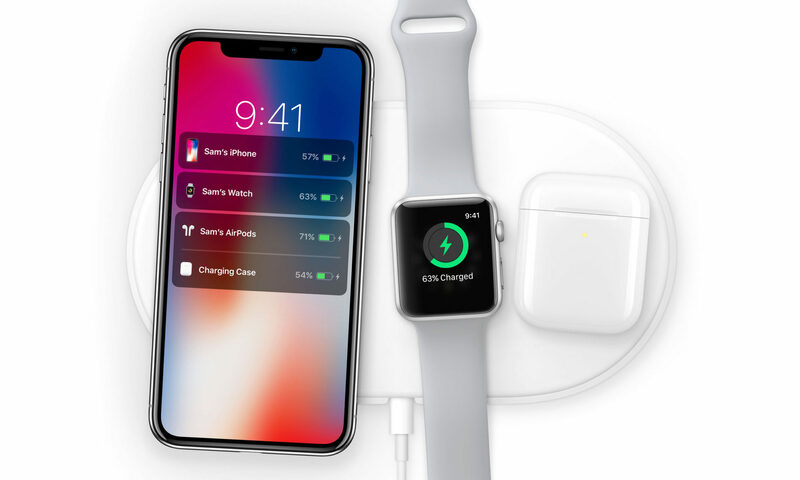 Ben notes that the alignment issue might get better when Apple’s own AirPower device ships next year but that remains to be seen. For now, just give me a cable to plug in. – Bring up Apple Maps. – Double-tap in the map, but on the second tap, don’t lift your finger. So tap-lift-tap-leave. – Now [with the finger still down] slide up or down to zoom in and out. As Dave notes Google Maps supports the same gesture. It actually has supported this for ages and I always found myself trying to do this in Apple Maps. With iOS 11 I was happy to find out it finally works the same. Well, I should rather say works similar, because the directions are flipped on Google Maps: move your finger up to zoom out and down to zoom in. Beta versions of macOS High Sierra made a change in the disk format of systems by converting them to use the new Apple File System. The initial release of macOS High Sierra will provide support for the new Apple File System as the default boot filesystem on Mac systems with all-Flash built-in storage. If you installed a beta version of macOS High Sierra, the Fusion Drive in your Mac may have been converted to Apple File System. Because this configuration is not supported in the initial release of macOS High Sierra, we recommend that you follow the steps below to revert back to the previous disk format. In other words, you’ll have to back up your Mac, format your drive, reinstall the final version of High Sierra and restore your data. Peak iPhone Rumor? Achievement unlocked. With today’s fifth iOS 11 beta Apple has changed the behaviour of the blue bar that showed up whenever an app was accessing your location in the background. This made it obvious to users that some apps might be doing nefarious things in the background without them previously knowing about it. But apparently Apple didn’t like the blue bar and changed the way it works. The developers can now decide whether or not they want to show the bar or not (if the app is in AlwaysInUse mode), negating the effect the previous impelementation had: telling users about potentially bad developers. Apps that have WhenInUse enabled will still show blue bar, which is helpful for navigation apps, because it gives easy access back to the app when you switch apps. It’s currently not clear as to why Apple moved back from the previous four beta releases. One theory is that developers don’t test enough with the blue bar showing and breaking the app layout in the process if the bar is pushing down the content. At the same time there were some other issues with the bar showing, like removing quick access to the top of a document, list view or website. This blue shame bar aside iOS 11 brings a few nice additions to the location privacy. Up until iOS 10 apps could optionally support the WhenInUse flag to access a users location. Starting with iOS 11 devs have to support all three settings: Off, When In Use and Always. It’s no longer just black or white for developers that didn’t want to support WhenInUse. (I’m looking at you, Uber.) Users now have a better option at their disposal to block apps’ access to their location. 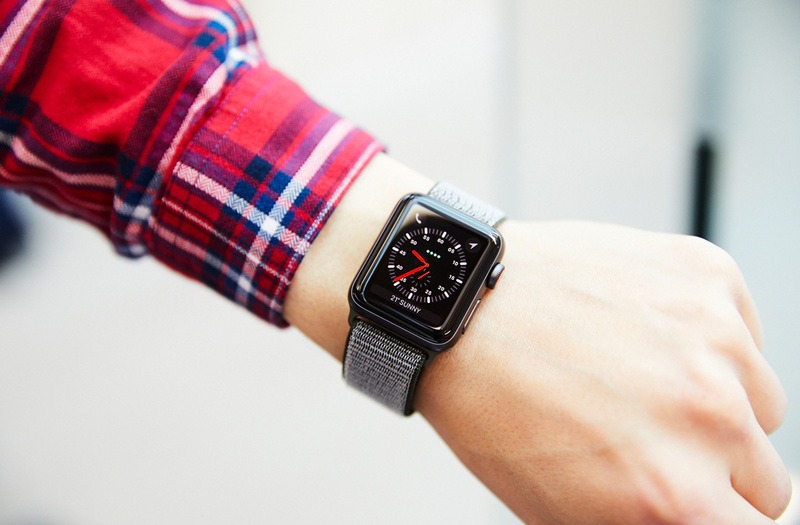 Apple Inc. is planning to release a version of its smartwatch later this year that can connect directly to cellular networks, a move designed to reduce the device’s reliance on the iPhone, people familiar with the matter said. Currently, Apple requires its smartwatch to be connected wirelessly to an iPhone to stream music, download directions in maps, and send messages while on the go. Equipped with LTE chips, at least some new Apple Watch models, planned for release by the end of the year, will be able to conduct many tasks without an iPhone in range, the people said. For example, a user would be able to download new songs and use apps and leave their smartphone at home. It’s hard to overstate just how big a deal this could be. No mention in Businessweek’s report, though, of the all-new form factor that I’ve heard is coming for this year’s new watches. That tidbit came from an unconfirmed little birdie, though, so I wouldn’t bet the house on it. New Apple Watch in a new design and at least one model with a cellular connection. I guess T-Mobile’s old 200 MB for lifetime plan would be a good match for this – if it still was around for new customers. Although I’m not sure how much data you’d need on a Watch? I guess streaming Apple Music to the wrist is a feature that could potentially require a lot of data. Let’s hope more carriers will offer pools of data with existing device plans. I assume, given the limited space, that Apple will ship it with an embedded, non-removable SIM. Which means that at least AT&T customers should be aware that their carrier might decide to permanently bind that SIM to themselves, just like they did on iPads with Apple SIM. I’m sure there are more details (I’ll try to add new ones them as they appear) but these are some of the most interesting ones.